Stay stylishly secure with sleek colored RFID sleeves. 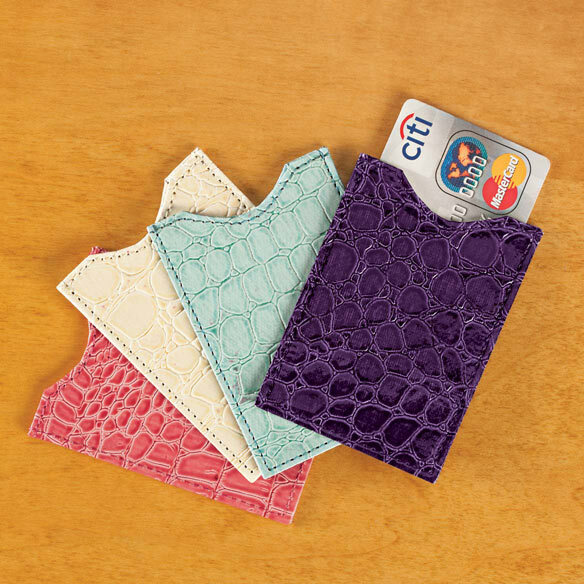 Simply slide credit cards into these ultra-thin, tear-resistant credit card sleeves and store in your wallet or money clip. Metal alloy lining blocks RFID scanners to protect your personal data from theft. Value set of 4 RFID sleeves. 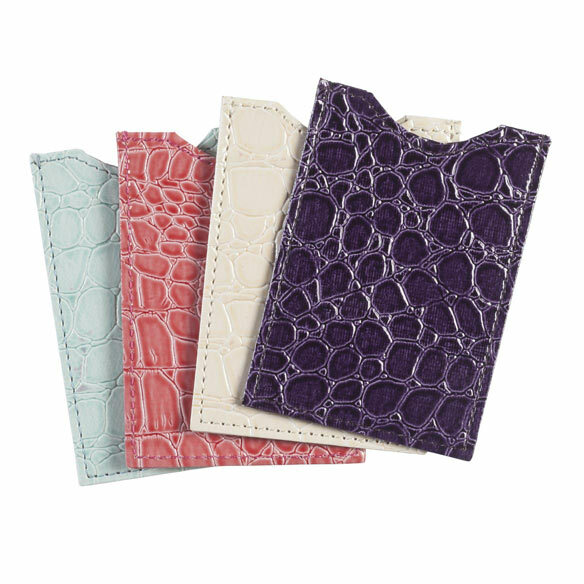 Includes a faux croc texture in fun, fashionable colors: purple, ivory, coral and teal. 3 1/2"L x 2 1/4"W each.